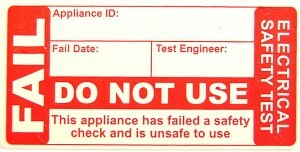 500 “Pass” electrical safety test labels. Designed to be fixed to portable appliances. 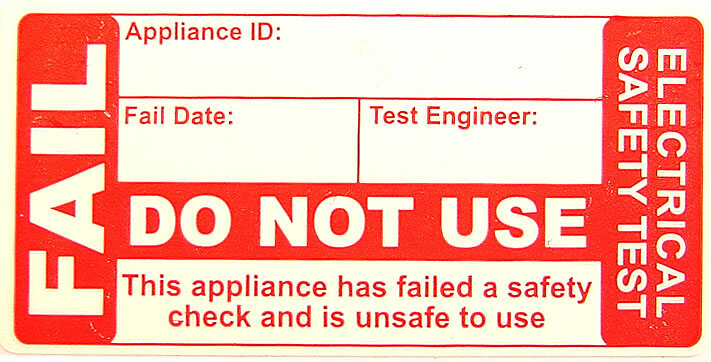 200 “Fail” electrical safety test do not use labels. These PAT labels are designed to be fixed to portable appliances. “Permatags” perfect for 110v power tools & equipment in harsh environments or construction sites. Virtually tear resistant, Supplied in a handy resealable blister pack of 100 Permatags with a free permenant marker pen.